Ikigai (生き甲斐, pronounced [ikiɡai]) is a Japanese concept that means "a reason for being." The word "ikigai" is usually used to indicate the source of value in one's life or the things that make one's life worthwhile. 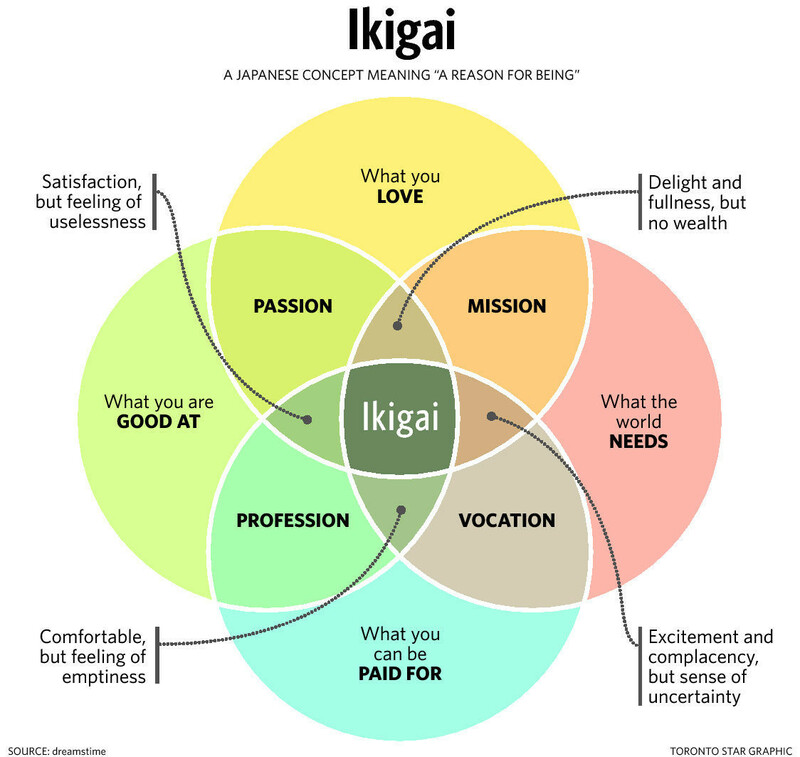 Everyone, according to Japanese culture, has an ikigai. Finding it requires a deep and often lengthy search of self. Such a search is important to the cultural belief that discovering one's ikigai brings satisfaction and meaning to life. For some, it might be work, hobbies, or raising children.